VATICAN CITY(CNS) — Christians are not defined by their baptism but by whether they live their lives according to God’s command to love their enemies, Pope Francis said. 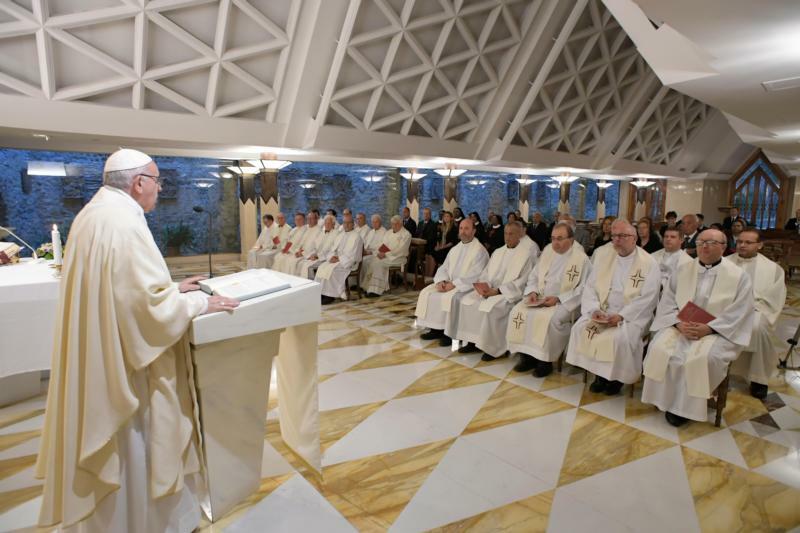 While it may seem easier to speak ill of an enemy, Christian logic goes in the opposite direction and follows “the folly of the cross,” the pope said in his homily Sept. 13 during morning Mass at Domus Sanctae Marthae. “Among us is the great accuser, the one who will always accuse us in front of God to destroy us: Satan. He is the great accuser. And when I enter into this logic of accusing, cursing and looking to do evil to others, I enter into the logic of the great accuser who is a destroyer, who doesn’t know the word ‘mercy,'” the pope said.